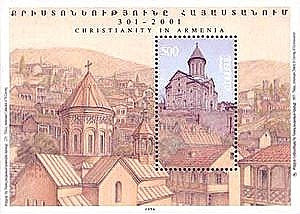 In 1997, Armenia issued a set and souvenir sheet picturing Armenian churches and honoring 1,700 years of Christianity in Armenia (Scott 544-48, 549). 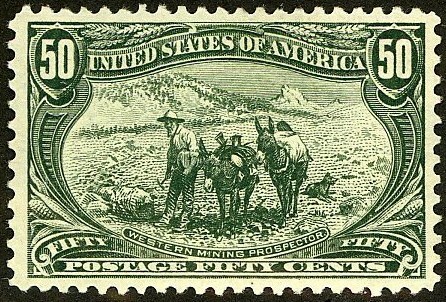 100,000 sets and 30,000 souvenir sheets were issued, and Scott '13 prices them unused at $7.50 and $ 5.00, respectively. I recommend purchase of the souvenir sheet, as it is an attractive Religion and Art/Architecture topical and also appeals to Armenian nationalist sentiment. Armenia, a nation of about 3.2 million, has made steady economic progress in the face of a number of obstacles, including its legacy of dependence on the Soviet Union as a centrally planned economy, a catastrophic earthquake, and an unresolved conflict with Azerbaijan over the Nagorno-Karabakh region. Major economic sectors include agriculture, chemicals, electronics, machinery, and mining, and new industries, such as precious stone processing and jewellery making, information and communication technology, and even tourism are beginning to develop. The economy is also bolstered by investment and support from 5.7 million Armenians living abroad. Annual GDP growth has averaged just under 3% over the last 5 years, although this reflect a contraction of 14% in 2009 due to the global financial crisis.